Red Hong Yi’s latest work is a giant portrait of revered artist Ai Weiwei, inspired by a quote about one of his own works. 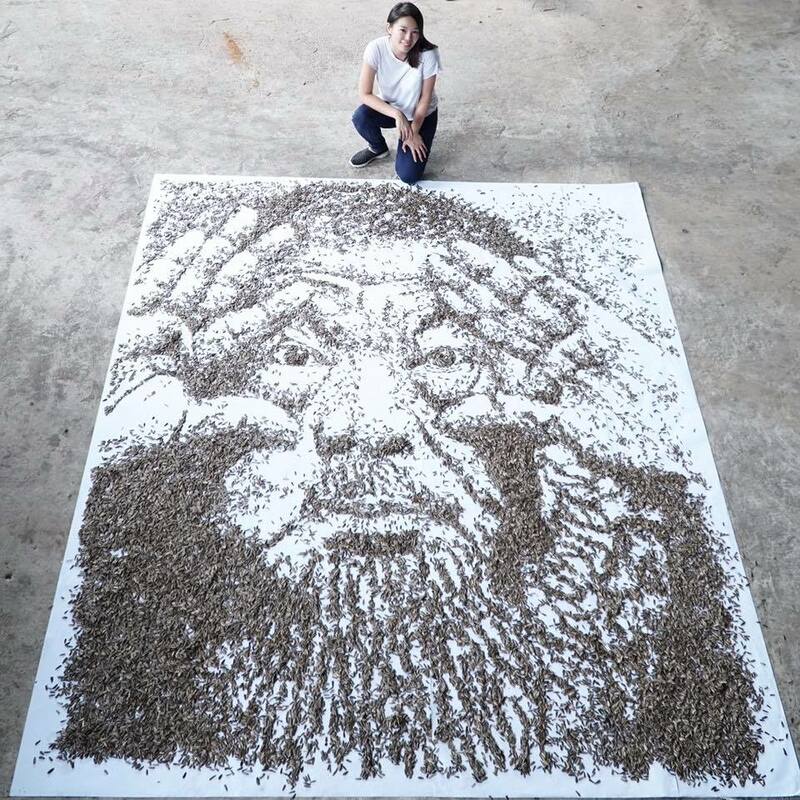 The piece was created using about 20,000 sunflower seeds carefully placed on a large canvas. As quickly as her creation comes together, it’s gone.